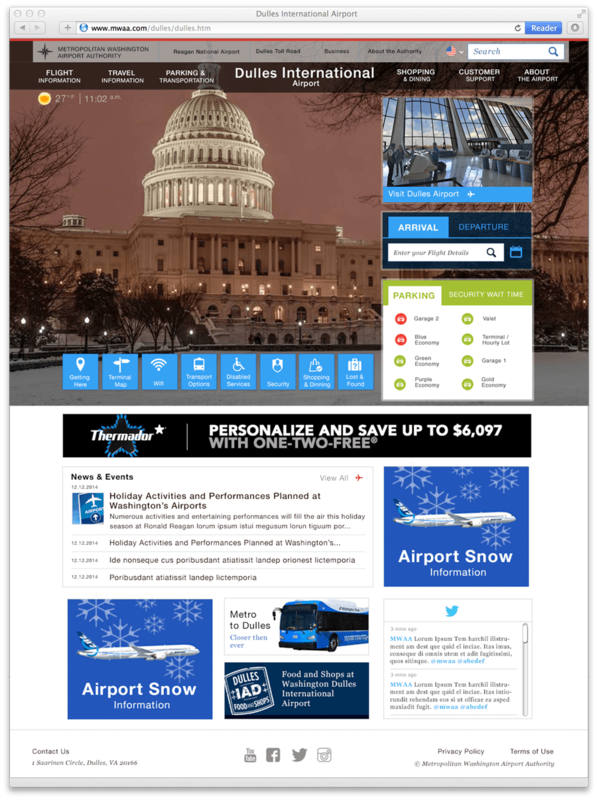 Washington DC the capital of United States has two main airports — Reagan National & Dulles International Airports. These two airports carry around 40 million passengers annually including Domestic, International and Cargo flights. 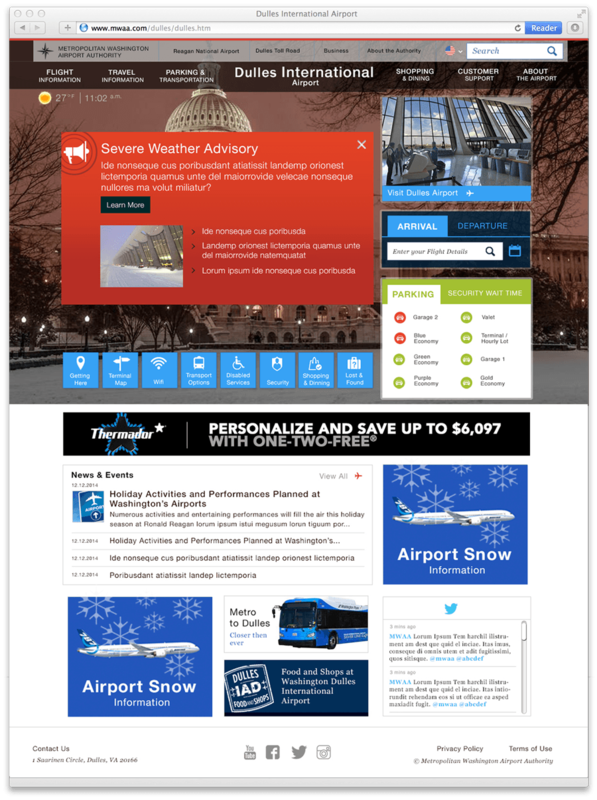 Metropolitan Washington Airport Authority (MWAA) is responsible for managing these two Airports. 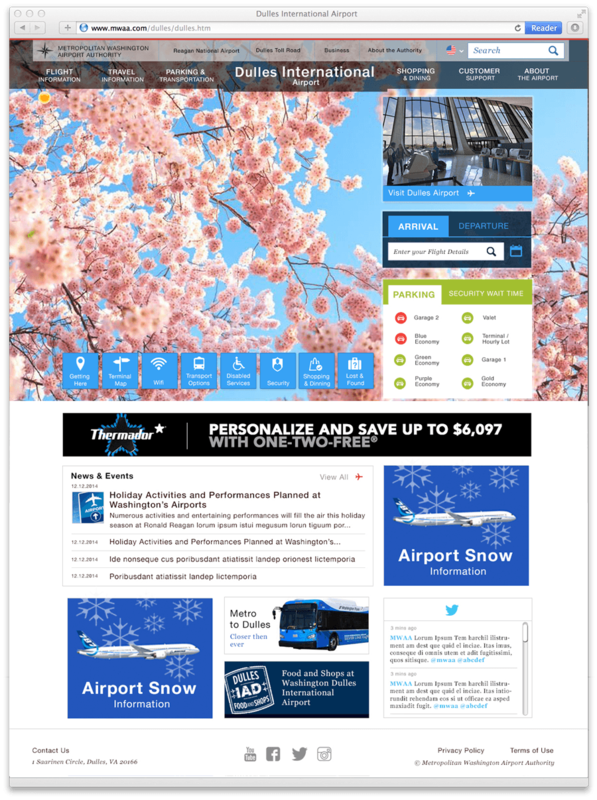 Reagan & Dulles Airport web redesign involved modernizing their web infrastructure, establishing new content publishing processes and improving the overall user experience. 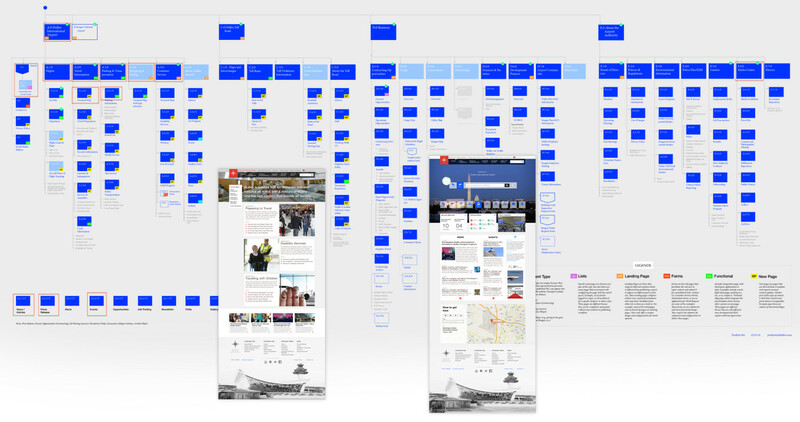 In order to do this, we engaged multiple user groups to understand the pain points and the vision for the future. This process included creating design concepts and information with close coordination with the business & user groups. This is the First generation of the mute-stage digital transformation. 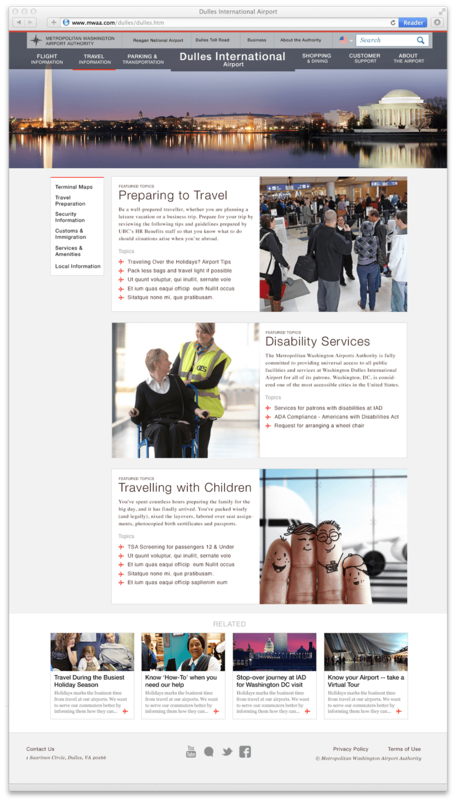 The vision of the this airport web is to deliver and experience that is unified across various channels. 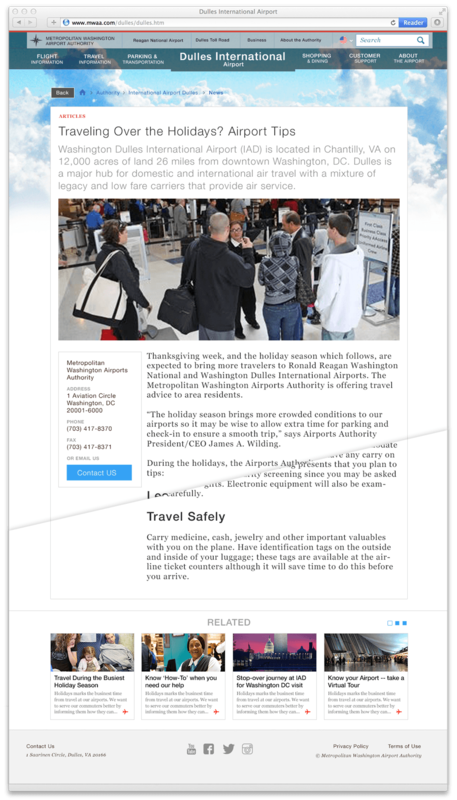 Engage users with the web & mobile channel and provide them differentiated services. There are some of the most modern digital features that has been deployed to harness this vision. Structure the new customer centric website for easy to find effective information. 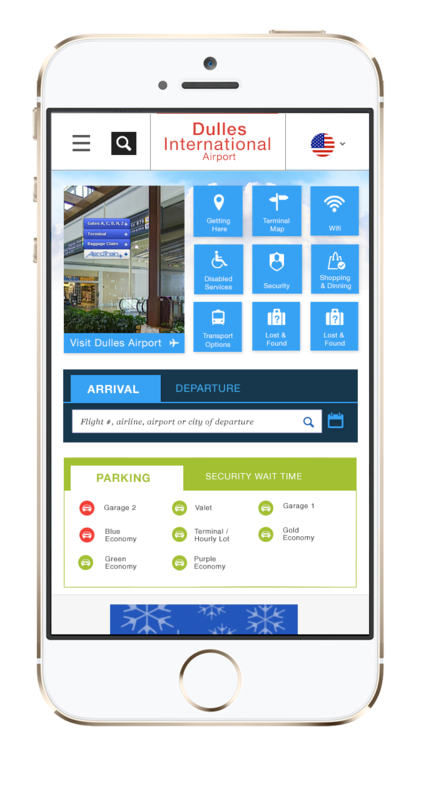 To help our patrons with personalized information to provide best travel airport experience in conjunction with revenue generation aspects.